In the years following the Civil War, Chattanooga experienced rapid industrialization and growth. Both Confederate and Union veterans, some who fought around Chattanooga and realized the area's potential, opened businesses and developed the land surrounding the city. One such entrepreneur, Abraham Johnson, arrived in Chattanooga in 1851. By the time the Civil War began, he was a railroad superintendent and married to Thankful Whitehead, daughter of wealthy land developer and industrialist, James Whitehead. By the 1880s, Johnson was developing property at the foot of Lookout Mountain into Chattanooga's first suburb, St. Elmo. Beginning with property inherited by his wife, Johnson bought large tracts of land including 100-plus acres, which became Forest Hills Cemetery. Believing the growing city needed a new cemetery, Johnson joined in August 1874 with banker Theodore Montague, lawyer Xenophon Wheeler, physician Tomlinson Fort and former Chattanooga mayor, Willard Abbott, and his brother, Colton, in chartering a cemetery association. They were soon joined by additional businessmen, each contributing $3 to cover the cost of the charter. Originally named "Oakland," the name was soon changed to "Forest Hills." The first burial took place in August 1880. Ironically, Englishman Walter Hayter, who was hired to survey the cemetery, died suddenly and was buried in Section 1, Lot 1. Over the next few years, bodies were moved to Forest Hills from family cemeteries and Citizens Cemetery. Confederate and Union dead were also re-interred. Among the Confederate dead was Gen. Francis Marion Walker, who died during the Battle of Atlanta and was originally buried in Griffin, Ga. Families purchased multiple plots, the largest of which contained space for 85 graves. There is room in the cemetery for about 70,000 graves. Only about 46,000 graves are currently occupied. In the early days, the cemetery looked somewhat different. 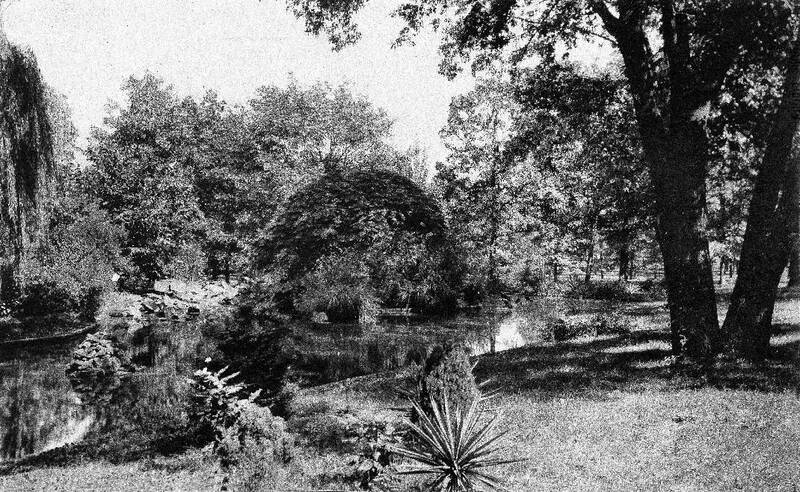 There was a pond in the middle of the grounds, plus a superintendent's home with its basement stable, a gatehouse, a shelter house and a flower shop. The superintendent's house, which was near Tennessee Avenue, and the shelter houses were torn down in the 1950s. Bricks from the superintendent's house were used to construct the current cemetery office. The lake was drained. As the trees and shrubs, including many azaleas and giant oaks grew, the cemetery began to take on the lush beauty we see today. The position of gatekeeper was an honor usually bestowed on a Civil War veteran. One gatekeeper was Confederate veteran Henry Gothard, who sounded a bell whenever a funeral cortege approached, signaling the grounds keepers to cease work. As the cortege passed through the gates, Gothard "rose to his feet, gave the salute of the South and stood at attention" until it passed. He also kept watch over the roller skates and bicycles of Lookout Junior High School students, who deposited their equipment with him on their way to school. Another gatekeeper was Union veteran Henry Miller. While some of Chattanooga's most notable and influential citizens are buried there, Forest Hills is the final resting place of many ordinary citizens. Plots were reserved for the children of the Vine Street Orphanage and the Florence Crittenden Home, as well as the Old Ladies Home. The city of Chattanooga purchased a large plot for police and firemen who died in the line of duty. Originally, an area at the rear of the cemetery was set aside for African-American burials (The cemetery was desegregated in the 1960s). A walk through the cemetery, especially in the spring and fall, reveals not only large trees and flowering shrubs, but also fine examples of historic tombstone art. One can see the final resting place of area citizens with recognizable names including: opera singer and Academy Award winner Grace Moore; Chattanooga Lookouts owner and "King of the Minor Leagues" Joe Engel; Krystal founders Rody Davenport and Glenn Sherrill; Cortez Greer, a singer with "a voice as deep as a well and soft as butter;" and Tennessee governor James Frazier. Many educators, nurses, physicians, ministers, government employees, soldiers, politicians, entertainers, homemakers and shop owners are also buried there, each with their own story. One such person was Mayme Martin, who owned the Martin Hotel on Ninth Street from 1936 until 1985. The hotel was the center of African-American social life for many years and hosted many African-American entertainers and athletes. Mayme died in a 1986 fire in the boarding house she operated for those who had no place to go when the Martin Hotel closed. 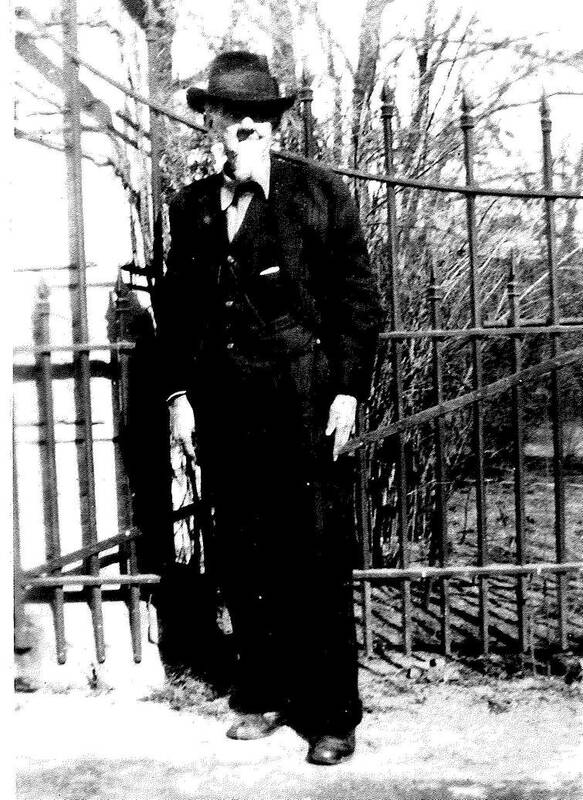 Gay Moore is the author of "Chattanooga's Forest Hills Cemetery" and "Chattanooga's St Elmo." For more information contact Chattahistoricalassoc.org.